Hello lovelies! I’m Katie, from Hook, Line & Sink Her, and I’m very excited to be covering for Ria today whilst she’s off in NYC being all glamorous and eating cronuts. Hello lovely readers of Wishing For Chanel! Anjali here, I blog over at From L&P to English Tea, and also with Ria over at Blogger’s Bookshelf. Today she has allowed me to take over her brilliant blog while she is off on her adventure. I’m extremely jealous and can’t wait to hear all about it when she gets back! Vintage. It’s everywhere. It has been on our high streets and in our homes for at least the last five years; its ‘Keep Calm’ attitude seems to have kept us going through the recession. Everyone wants a piece of it, but some people are not sure how to go about it. This is where I step in – I will show you in five easy steps how to get a vintage look without looking too fancy dressy or granny-ish, but all the while getting that hint of the past. So who am I to be telling you all this? 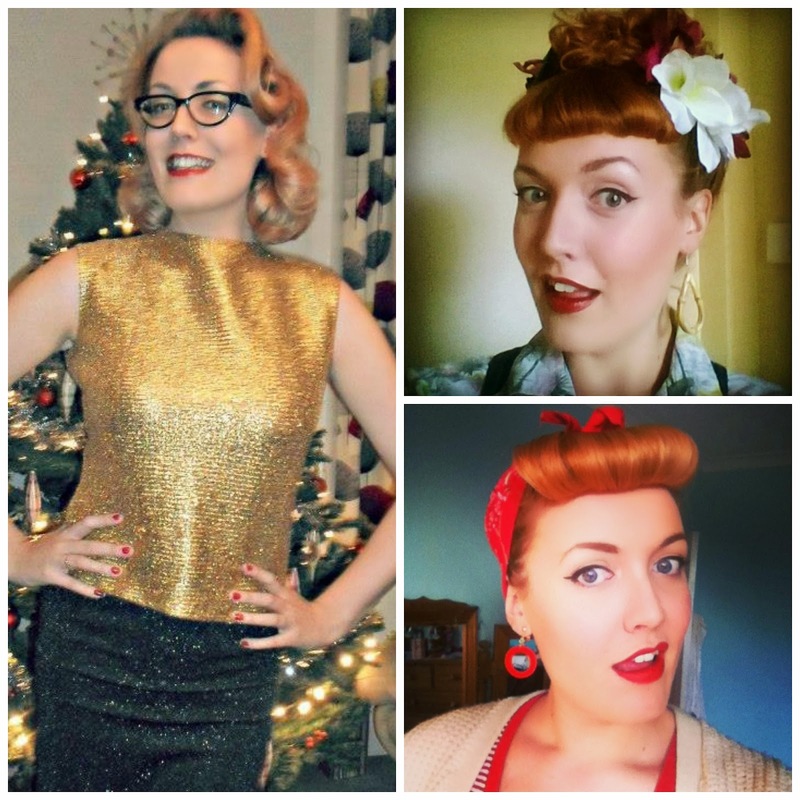 I am a fellow blogger and friend of Ria’s, and I have been running my own vintage blog for three and a half years. On top of that I have dipped more than a toe into the vintage modelling scene, working with lots of companies and event organisers who also hold a passion for the past. Oh yeah, and my parents pretty much live in 1958. I was brought up in a rockabilly household, surrounded by old cars, clothes and everything kitsch. Over time I’ve developed my own style, but it’s always evolving – one day I might be Rita Hayworth, the next Wanda Woodward. 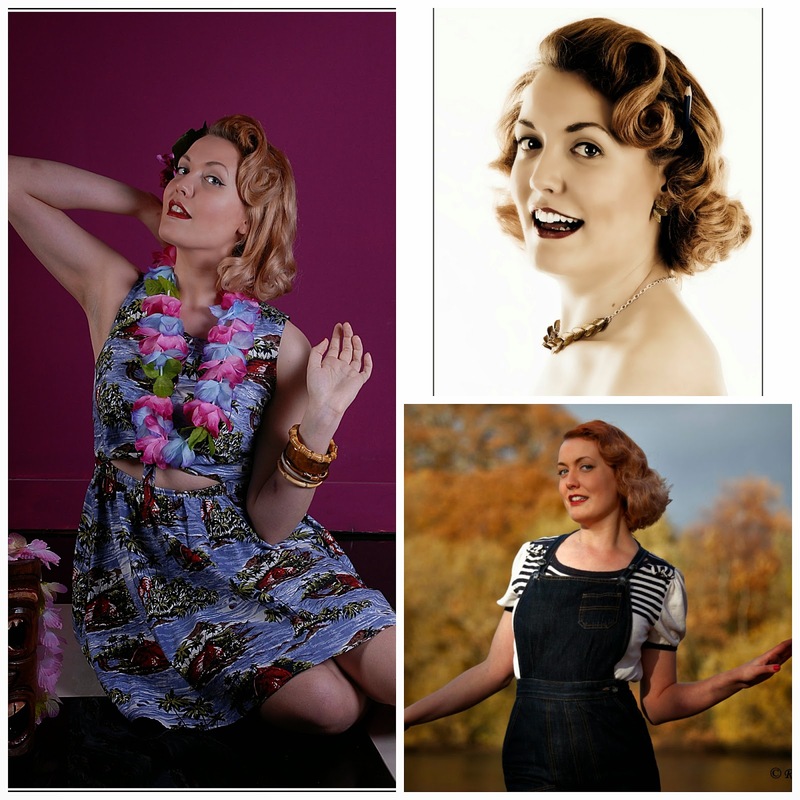 Throughout this time I’ve learnt lots of lessons on perfecting vintage style which I would like to share with you. I know plenty of people who are completely dedicated to a decade – which is great and I am completely in awe of them. But if you’re anything like me, you’ll probably get bored with this and want to shake this up. Heck, I’ll even admit that some days I’m not even going to bother with vintage and just stick on some skinny jeans. My own personal experience has seen me go through pretty much every decade in the 20th century before I settled on my style, and even now it’s sort of a smash up of everything from the 1930s to the early 1960s. There are some people who are known as ‘vintage snobs’. Ignore them. So what if you’re wearing a pair of 1950s style jeans with a 1940s blouse? You look fab. I suppose this is a bit of an extension from 1) but I think it deserves a point for itself. Vintage does not just have to be defined by decade, but it can be defined by style, or even a person. For instance my style is influenced by tiki, rockabilly style (a lot of people who like rockabilly music are now tutting in my direction because it’s a music genre not a style, but oh well!) and midcentury atomic. So, get on the internet, start trawling through some sites like Pinterest and Tumblr to see if there is a style or genre that you feel inspired by. People on these sites, as well as Twitter and Facebook, tend to be really supportive of people who want to get into their style so get following – you never know who you’ll meet! Perhaps diving straight into the past might be a little bit scary, so the best plan of action here is to gently get used to wearing vintage style. It’s a bit like the first time you dye you hair a different colour – you wake up in the morning and get a shock from your own reflection! Try getting some vintage accessories (bandanas, bangles, handbags, hats, that sort of thing) or wearing it out on a night out. That way you won’t feel so fancy dress – trust me, we all feel that way sometimes – but still get the great vintage vibe. As your confidence and individual style grows, start working some more things into your wardrobe. Now, I would love to have the money to only wear vintage clothes, to get glammed up every day in my finest 1950s dresses and drive around in a mint condition Cadillac, but that’s just not going to happen. Also, depending on the era or style of vintage you go for, prices and availability can vary massively. I am in lots of Facebook groups for people wanting to sell their things (there are loads of these groups and pages, and it’s a fantastic way to meet like minded people), and the prices can make you light headed! My resolution for this is to wear reproduction wear, whether that is from the high street or from the hundreds of amazing reproduction companies out there – this is especially helpful if you are not a ‘vintage’ size, i.e. a petite slim slip of a girl with a 25” waist. For instance as I am typing this I am wearing high-waisted black slacks from Lady K Loves, a top that my mum made me from a vintage pattern, a black cardigan from New Look, a vintage leather belt in the 1980s-does-1950s style, and pumps from Primark. By doing this I have a great choice of clothes that I can fit into plus I am helping the economy by supporting small businesses! Everything I am wearing in this photo is repro – yay for repro! As the same with every style, you’re going to need a few go-to pieces in your wardrobe. The same is said for vintage style. I would say this needs to comprise of a good pair of trousers, a couple of tops that go with anything, a nice going out outfit, a couple of pairs of shoes to mix things up, and handful of accessories. Mine staple wardrobe is a mixture of true vintage and repro vintage both from specialised shops and from the high street. It’s an assortment of everything I love about vintage fashion, and it can be mixed and matched with loads of other pieces I add to my wardrobe. Twinned with fabulous hair and some red lipstick (read as: lots of red lipstick) I am ready to take on the world. So I hope that helped you get to grips with vintage style. 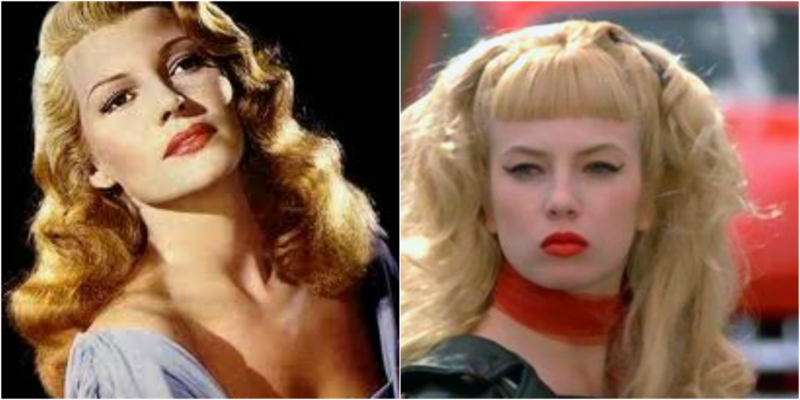 Whatever era, style or person you are inspired by, just go for it! It will take some time to get everything together – it probably will never be complete if your style evolves as much as mine does – but it is a great style to have and adapt to your personality! If you’d like to see more of my antics, head over to my blog or follow me on Facebook and Twitter!